Fight Distraction- 3 Books To Help You GET FOCUSED. It's no secret that I dabble in the art of distraction. But that doesn't mean I've managed to master my own concentration. More often than not I feel held down by some incubus (hence the painting above). We live in a world where your time and attention are the most valuable commodities, and it's becoming nearly impossible to stay focused on any one task. Or to even motivate yourself in the first place. So here are a few books that have helped me snap out of the hypnotic triggers of modern life and hone in on my self and my work. I found this book while browsing a book store in London a few years ago. I remember feeling so overwhelmed by the shear amount of choice that I almost gave up the yearning to read in the first place. I'm glad I stuck to my guns. Because eventually amongst the endless pop psychology and self help titles littering the shelves I found this insightful book. 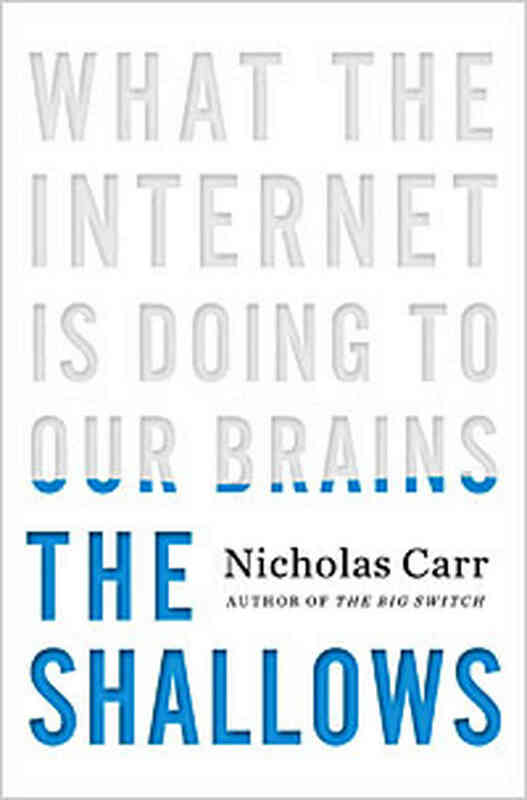 In The Shallows, Carr captures your attention and then tells you how to get it back. This book goes beyond the tired "Internet is consuming us" line. Carr does a deep dive into the why. And how to cope and manage digital distractions so you can take back your attention and refocus. The big take away for me was this simple idea; you need both time to collect information and time to process it. Carr manages to shed light on the inner working of "interruption technology" but also provide guidance on how to let your thoughts ripen. While it sounds more sci-fi than "psy-non fi", The Fourth Dimensional Human is a well written treatise on identity and time as it's viewed through a digital lens. Less about distraction and more about how to cope with the digital self. Scott talks of how our "timeline" on our social feeds gives us a sense that time is never ending. A notion which immediately distracts us from the dark thoughts of our own mortality (and keeps us addicted). He speaks candidly about how our face to face interactions are "...half familiar, reminiscent of what you already know." Speaking to the idea that in real life we become avatars for our digital selves. It's helpful to know more about the ways of being in the digital world so that you are better prepared to honor the time in the physical one. I'm a big fan of Adam Phillips' writing. I can't recommend him enough. And although Missing Out isn't about distraction per se - it does tackle a thought we all experience from time to time as a result: FOMO (Fear Of Missing Out). Digital content and social webs create many problems for us. One problem heightened exponentially by the internet is the fear that you are not living your best life. Tortured by your friend's vacation photos of them and their perfect spouse - or inundated with content from people you admire leaving you feeling empty and uninspired. Phillips speaks about "getting it" and "not getting it" and the important ways in which we think about these concepts. Phillips discusses frustration (the emotion that brought me here) and how to more openly discuss it with others to prevent the fantasizing of an ideal scenario to satisfy our longings.